Are You Getting The Most From Your R&D Spend? Simply investing in R&D is no guarantee of profitability. Some organizations realize great returns while others suffer losses. Consequently, what matters most is how these dollars are spent. And that goes right to the question of how research is performed. 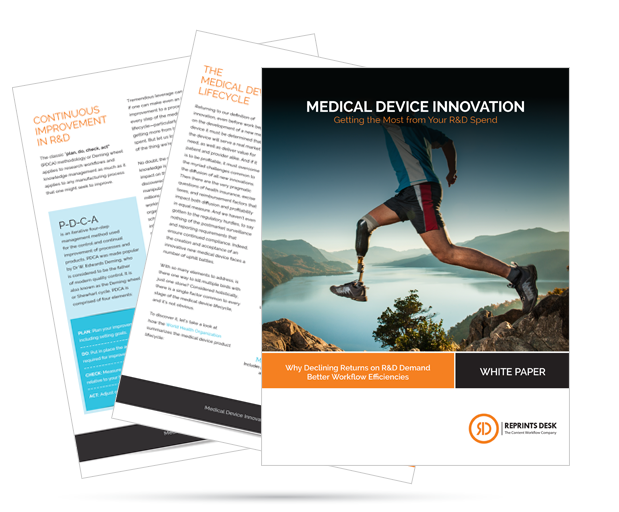 Download our complimentary guide to discover how you can improve the profitability and productivity of your medical device innovation across the entire product lifecycle.